Hi , i tried this one and the older version from you website. Both of them didn`t work. I get the rainbow square and after that now signal. I use RPi 3 and SanDisc 16GB card. I tried with SDformatter and win32diskimager on windows 10 and also tried with https://www.raspberrypi.org/documentation/installation/installing-images/linux.md on Linux. Other OS are working normal. Got the same problem, i think it’s not related to installation, but to the HDMI mode used in the packaged version. I guess the solution is to build from source with another HDMI mode setting or use another screen. Maybe Ric could add another link for an alternate build with another HDMI mode. The rainbow square usually means an issue with the power supply. I had the same, changed the power supply to another of better quality and the rainbow square is gone since. And how install other apps? Netflix working in this release? Works and not works, we can view the image, we can ear audio, but in a few seconds the image is distorted. Great ! You are awesome guy ! Could you be so kind to tell me one thing. Is there any chance to get AV signal from socket on the board ? The black 3.5 mm jack for RPi B+/2/3 is for AV signal. What about sound? Doesn’t work at all! Why? I have installed the image on RPi3 successfully. Thank you! But I found that the Bluetooth can not be turned on. How to turn the Bluetooth? 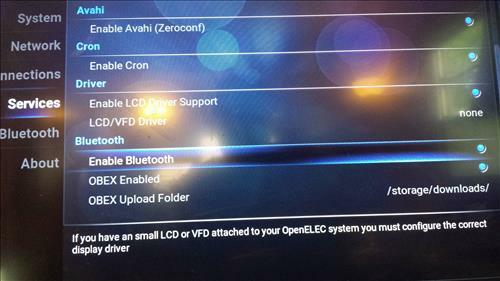 If you are trying to run LibreElec (used to be called OpenElec) and Kodi, you have to look in the special settings menu for LibreElec settings and there is a blue-tooth on/off switch too somewhere on a tab/menupage. I found this guide for LibreELEC https://www.kodivpn.co/libreelec-vpn/ but I am not sure if it is updated as it was published in Feb 2017. However the method still works. Have anyone issues with video output? becouse i get no video signal true HDMI connection. My TV says “check your video source”. Tryed different solutions but nothing has helpt me. Any ideas? I believe that it only supports monitor/tv that has a NATIVE resolution of 1080p. I tried with other tvs and monitors and those just won’t work. I tried installing GApps via Google Installer 2.0 apk taken from a Xiaomi forum, and RPi3 won’t boot properly after a restart. I have tried several configuration options and finally I added sdtv_mode=2 and made boost a little higher. I got th same problem. Ever figured out how to make it work? Are you also using a 64gb microsd card? that might be my problem. Same issue.. Did you ever get it? By cons, do you know if it is possible to change the language of the keyboard in French because it does not work with me? Can you connect a smartphone with bluetooth? Would this work with the rasp 2? I had the same installation issues than others mentionne but I finaly managed to have Android TV running on my rpi3 after changing the SD card (SanDisk 16G) and the power supply (2A). I created the SD card on a linux box with dd command line. The rpi3 starts but the first image is smeared on the TV screen, the rpi3 continue booting after pressing Enter or clicking somewhere. @Mark, I managed to install Netflix for Android TV (I used adb from a linux box to send/install apk file). I am able to launch the app, connect to my Netflix account, select a video but the screen is black when it is playing (even if the seconds increase in the progress bar). Maybe a codec issue ? FYI, I also tried to install B.tv to view french TV from my internet provider… unsuccessful, the app crashes when it starts. Hope this could help. Looking forward to have your feedback. Do you think you could test the gapps? You would have to change the file to use the 7.1 opengapps, but I think it might work. I was the one who wrote the tutorial, but my rpi3 won’t run this version for some odd reason. I installed it and got the apps i desired on it, strangely when I play back video the progress runs along as if the video is playing, but I am left with a black video. Any ideas? I got rainbow after installing this. Any fix ? I have toshiba class 10 card and official 2.5 a rpi power supply. Hi please could you tell me how to safely shutting down the pi3 when using andriod other than pulling the power out.can you still access the correct shutdown procedure thanks for a great app. i try to scan it by Pi3, but the device isn’t available. My Android phone can scan the device in same time. 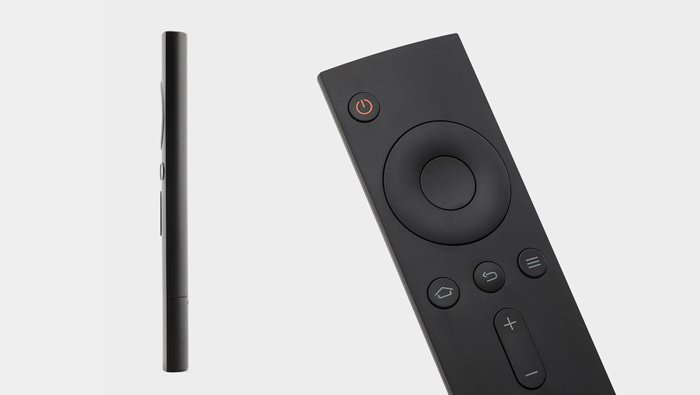 Hi, I want to do the same with the same remote, but I still can not install it on the raspberry. Did you do it? hi.i run andeoid 7 on rp3;but cant fix dispaly on 5 inch lcd for prtable it! !any one can help me about this? ?who can give me config file for this? Some apps can’t run without gapps. I installed the image whit win32 Disk Imager and put the sd card in the Raspberry Pi 3 model B. but nothing happens my TV shows an Blue screen nothing else what can i do ? ?